We first introduced you to Natasha about 18 months ago, however, we believe she deserves a re-introduction as our newly appointed Executive Assistant Manager. Natasha is excited about her new role and the new opportunities it presents. We are fortunate to have someone with her level of industry experience leading the team and can’t wait to see what she has planned throughout 2018 and beyond. What is your new role at HiRUM Software Solutions? I first started back in 2008; taking a short break in 2010 to move to Melbourne, where I soon realised the cold weather was not my ‘cup of tea’. We moved back and I have been with HiRUM ever since! What was your previous role with HIRUM? 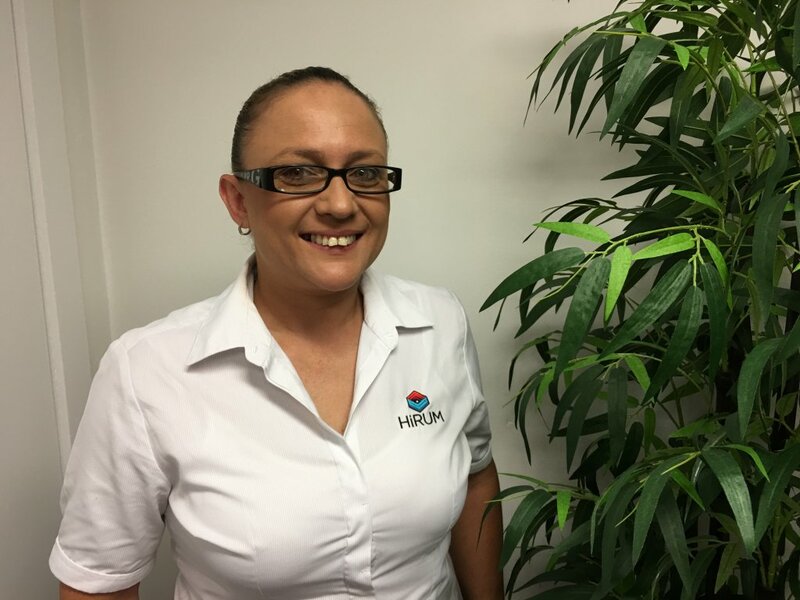 I first started as a HiRUM Customer Service Officer, moving shortly after into a Customer Service Supervisor role. This lead me into the position of ‘Office & Client Service Manager’. I then received the amazing opportunity to step up to become Executive Assistant Manager, in July 2017. What is your proudest moment at HiRUM thus far? Whilst I have had many over the years working for HiRUM, my proudest moment thus far would be my recent promotion to Executive Assistant Manager. I have two young daughters, and I want nothing more for them than to see that if you work hard, you really can achieve great things. My main aim is to take as much of the pressure off the directors as possible, so they can work on the business, not ‘in’ the business. My goal when it comes to leadership is to work with each department as closely as possible, to get an understanding of what works, and offer my ideas on things we can improve on, when needed. From a leadership perspective I always strive to be relatable; a person that both the team and clients can feel comfortable to come to. My door is always open! What excites you most about the next few years at HiRUM? Whilst we have had some great years and achievements thus far, we have many exciting things planned. WATCH THIS SPACE!!!! Find time for you! Most importantly you need it. With our new technology, we have your covered! We have an end to end solution to meet all your property management and business needs, and our team is there to help whenever you need them – so don’t hesitate to give the team a call. Not sure I know what that is with two young children, a full time job, a third child (AKA my husband), and a farm full of animals to look after… but I guess 30mins on a Friday afternoon to enjoy the company of my friend ‘Jack Daniels’ isn’t a bad way to spend my ‘spare time’ on a Friday. Sonia Dada – Lover (because I heard it on the radio on the way to work the other day and it brought back some great childhood memories). I can’t pinpoint one; but my 2 daughters, my ‘amazing’ hubby and my passion for work & life are definitely my reasons for being. I have travelled a lot but the best place would definitely have to be New York and visiting the ‘Ground Zero’ memorial.